Liberals worldwide invoke Scandinavia as a promised land of equality, while most conservatives fear it as a hotbed of liberty threatening socialism. Liberals worldwide invoke Scandinavia as a promised land of equality, while most conservatives fear it as a hotbed of liberty threatening socialism. But the left and the right can usually agree on one thing: that the Nordic system is impossible to replicate elsewhere. The United States and the UK are too big, or too individualistic, or too…something. 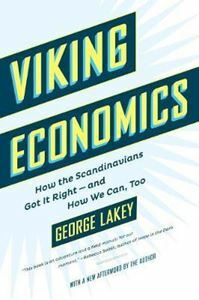 But in Viking Economics, perhaps the most fun economics book you’ve ever read, George Lakey dispels these myths. He explores the inner workings of the Nordic systems-which boast the world’s happiest workers, smartest environmental policies, heathiest citizens, and shared social-justice goals-to show how we, too, can embrace economics equality and reap its many benefits. The Quakers are a fascinating religious group both in their origins and in the variety of reinterpretations of the faith since. Sifting through centuries of mythmaking, Reza Aslan sheds new light on one of history's most influential and enigmatic figures by examining Jesus within the context of the times in which he lived.